We’re so excited for the arrival of all the latest fall fashions. Our store is busy stocking the hottest trends for fall 2018. There’s a lot to like this year with camo and florals both being very much in style. 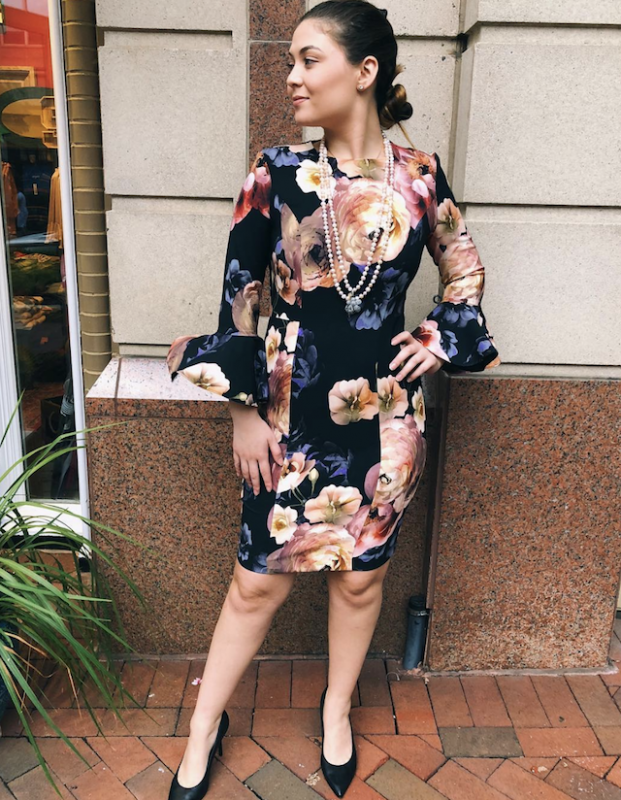 Here are some of our favorite pieces from labels like Mavi Jeans and Joseph Ribkoff that you can pick up at our Reston boutique. The absolute must-have trend of the season is camouflage. 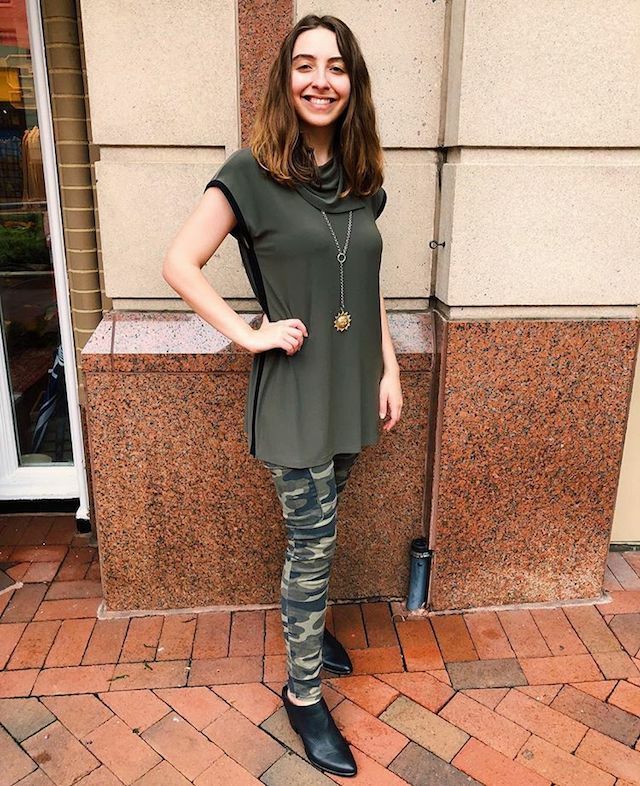 We are completely in love with these skinny Mavi Jeans in Juliette Military Camouflage paired with a low boot. Camo is an excellent way to add a bit of attitude to your outfit and stand out from the crowd. We can’t get enough of the bold print on this Joseph Ribkoff floral dress and its sleeve detailing. Perfect for any formal cocktail event or a night out with the girls, this dress is a real statement piece that is an absolute must-have in any wardrobe. We’re crazy about these Spiritual Gangster T-shirts for fall. The tees are made from a luxuriously soft cotton and come in a range of different inspiring prints. What we really like about a great tee is how you can effortlessly go from casual to chic with the right outfit. 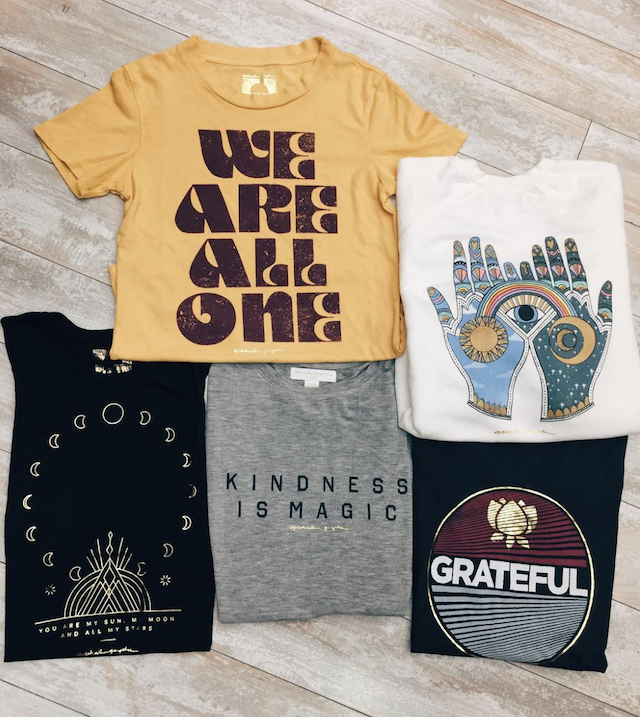 Try pairing these Spiritual Gangster shirts with your favorite skinny jeans or leggings and a great pair of boots for a rock ‘n’ roll vibe. One of the biggest trends of the season is camouflage, and these Mavi jeans in a camo print will have you looking right on trend. Pair with heels and a comfortable scarf for a soft meets tough look that will carry you far into the fall season.